The October instalment of Mastermix’s Pro Dance series is released today (Thursday the 25th of September). Featuring the biggest hits and new releases in remixed form, Pro Dance 81 includes mixes from DJ Fresh, Example, Chainsmokers and Redlight. 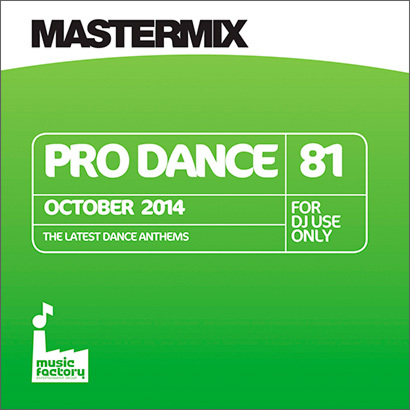 Pro Dance 81 is available now directly from Mastermix on CD or digital download priced at £15.32.